Looking for simple ways to streamline your health habits? I’m teaming up with Career & Performance Coach, Liz Traines for an interactive workshop to help you cut out the noise and simplify your workday. We’ll discover how to cut the noise when it comes to nutrition and career planning, helping to prevent you from feeling overwhelmed and more in control. You’ll get a tactical, easy to follow plan to integrate into your workday - customized for you. How can I feel more fulfilled by the work I do? Why do I have trouble saying no? And how can I start doing it? I struggle to find time to eat well, what can I do to stay on track? Come spend the afternoon connecting with like-minded women while enjoying lunch and learning how feel your best. In our culture of 24/7 connectivity, taking a step back is vital to re-energize the mind and the body. Being plugged in all of the time and overbooking work and personal schedules often leads to missed opportunities and lack of clarity. > So how do you integrate fitness and mindfulness into your life in order to stay creative and focused? General Assembly has teamed up with Chill Meditation + Massage and EvolveHer to present a panel discussion around mindfulness and empowerment. Come and learn tips and tools that will help you take control of your life and be your best self. We'll also be joined by a mindfulness trainer for a talk and guided mindfulness exercise that will explore different mindfulness tools that can help us to stay present, resourceful and resilient. What’s the “healthiest” alcoholic drink? How can I navigate my holiday party? I’m expecting; what are some options? 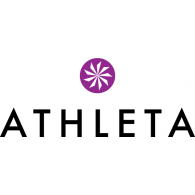 Learn which beverages are best and discover tips for making healthier choices at my FREE event at Athleta. We’ll be making a few fun cocktails and mocktails for you to try! You’ll also enjoy hearty and healthy holiday bites. Get your health and your home #holidayready this fall. Bring a friend and mingle with other Chicagoans while learning tips for house hunting and how to enjoy a healthy holiday season. Spend a day connecting with other women in Chicago. Enjoy yoga, meditation, snacks, delicious food and health-conscious drinks. Travel can be tough on your body. Discover tips + tricks for how to stay on-track for when you are off exploring. Bring balance into these sunny days and join us for a health-focused event combining meditation + nutrition. From work events to social commitments, our summers can be jam packed with activities. A 15-minute meditation session led by Iman Ali from Chill will be followed by nutrition Q&A curated by Registered Dietitian Nutritionist Maya Bach. From floral arrangements to family, wedding season can equal stress. Finding time to eat well + workout can seem overwhelming. Join Jenny Yoo for an exclusive in-store Wedding Wellness event, focusing on simple strategies for how to manage stress levels, helping you look + feel your best. A 30-minute yoga class led by Gratitude Yoga founder Lisa Scurlock will be followed by a 30-minute nutrition discussion led by Registered Dietitian Nutritionist Maya Bach. Light bites + beverages will be served.